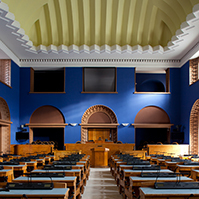 The Riigikogu Photo Archive contains photos of the work of the parliament and the events in the Riigikogu since 2001. 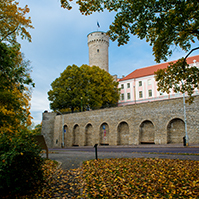 You can also find pictures of Toompea Castle and the Riigikogu Building, and interesting photos of the activities of the parliament and everything connected with it. The Riigikogu Photo Archive is located at fotoarhiiv.riigikogu.ee. All photos in the Photo Archive are protected under the Copyright Act. Title: Façade of the Toompea Palace in winter 2016. Source: Riigikogu Photo Archive Author: Erik Peinar. When you wish to use our photos, but are not sure whether everything conforms to the conditions for the use of the Riigikogu Photos Archive, please feel free to write to info@riigikogu.ee to get the permission. For further information, please phone +372 631 6456. 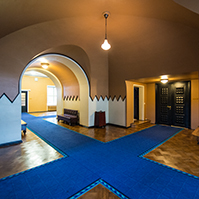 The user of our photos who finds that third persons have violated the conditions for the use of the Riigikogu Photo Archive should inform the Chancellery of the Riigikogu of it by sending an e-mail to info@riigikogu.ee or phoning +372 631 6456. 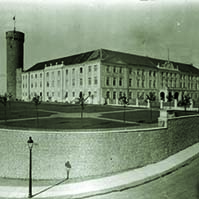 The rights relating to the Photo Archive as a data base belong to the Chancellery of the Riigikogu. 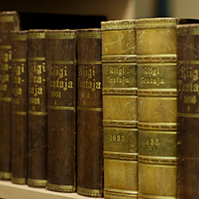 The economic rights relating to the works preserved in the Photo Archive (hereinafter “the Works”) belong to the Chancellery of the Riigikogu. Giving information about the work of the Riigikogu and the events held at the Riigikogu. If the detail view (description or further information) of a work in the Photo Archive includes supplementary or additional conditions or restrictions regarding use, the user has to proceed from this information. To share or sell the Works, forward the right to use the Works, or to misuse the content of the Photo Archive in any other way. When the Works are used, the name of the author and the source the Riigikogu Photo Archive should be cited. 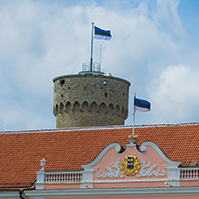 If the user does not follow the conditions for use of the Photo Archive, the Chancellery of the Riigikogu has the right to forbid them to use the Riigikogu Photo Archive in the future.